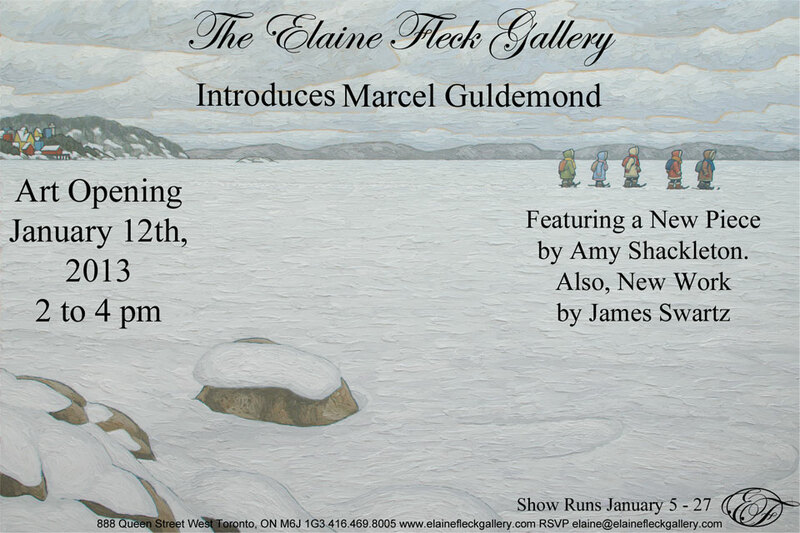 Here's the invite to my show opening, which is January 12th, from 2 to 4 pm. 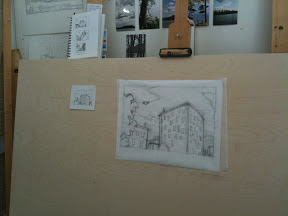 I'm busy finishing Paintings for my January show, so I won't have time to post much, if at all. I might post some photos on twitter. - the show at Cyclelogik in Ottawa opens tomorrow night, December 7 @ 8pm - I'll have a few small pieces in it, and I'm hoping on going to the opening. 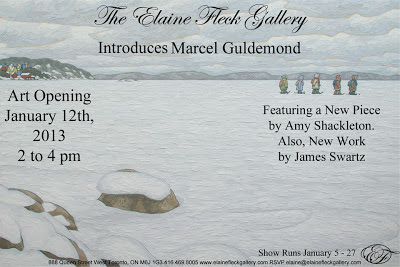 - the opening for my show in January has been confirmed for saturday the 12th from 2-4pm, in Toronto at the Elaine Fleck gallery. - the piece that was supposed to go in the Elaine Fleck December show has been sold, so I won't have anything in that show. - All my new work is going into the January show, which is my first one with only large paintings, so I'm both excited and nervous about that one. If you're in Toronto please come by to see it if you get a chance.